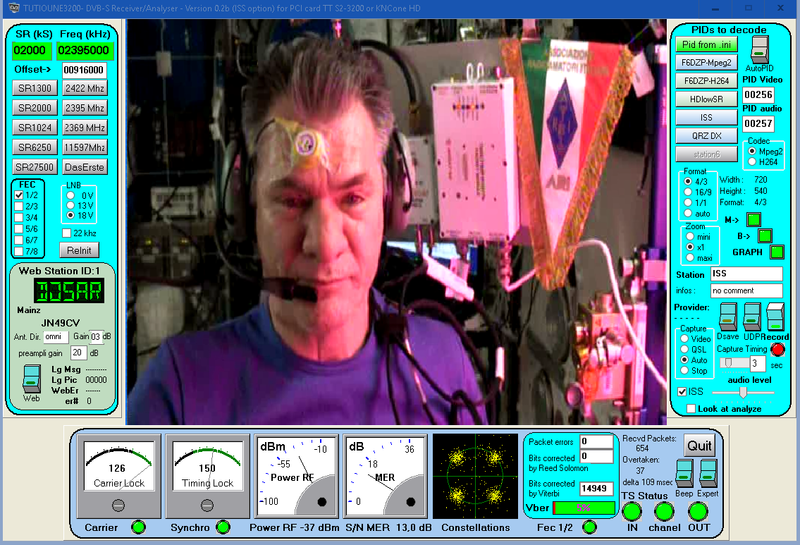 Tonight ESA astronaut Paolo Nespoli, IZ0JPA, aboard the International Space Station tested the amateur radio equipment in the Columbus Module. 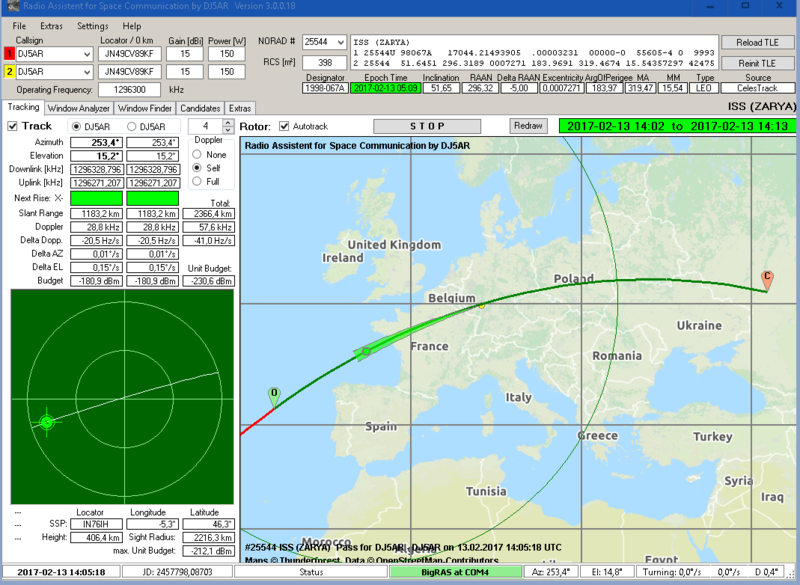 Signal quality was better than expected, as it was a pass with quite low culmination at 48° elevation only. He could be heard well on 145.8 MHz FM as well. The following pass at 20:44 UTC was more convenient and culminated at 62° elevation in the north. But Paolo could only be seen in the very first seconds, before he switched HamTV to blank transmission. 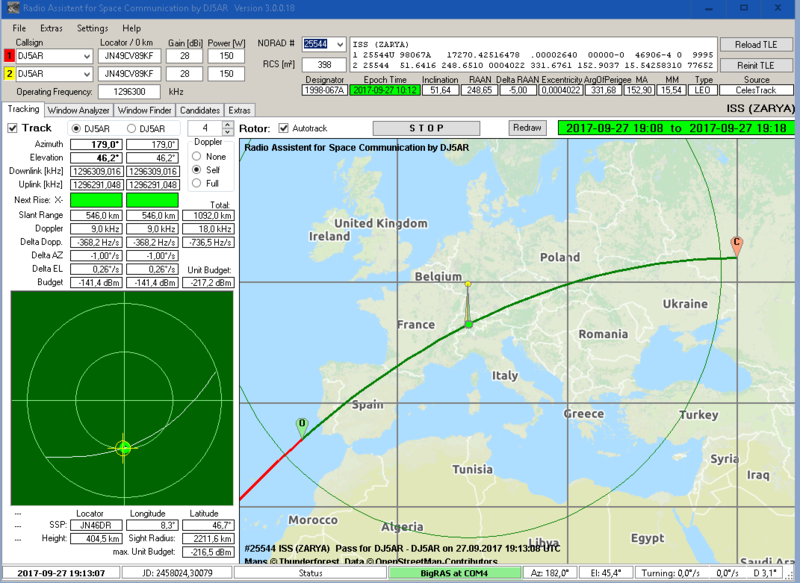 This entry was posted in ARISS, HAMTV, ISS and tagged 13 cm, ARISS, HamTV, International Space Station on 2017-09-27 by admin. At present the HamTV transmitter, installed at the International Space Station is switched on. 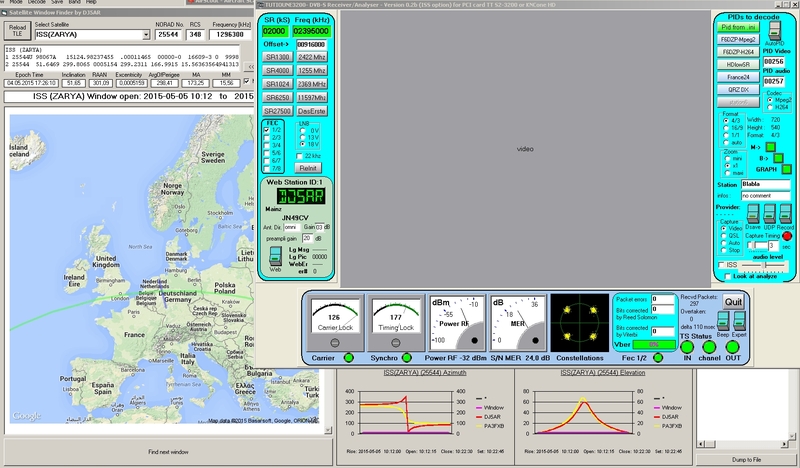 As the camera is not connected, only blank transmissions can be received, just to test the equipment. As can be seen, everything is working fine, so I am waiting for the pictures now. This entry was posted in HAMTV and tagged 13 cm, 2320 MHz, HamTV, International Space Station on 2015-05-05 by admin.